Jess began working for Blush in 2016. She was only a junior in high school at the time and knew exactly what she wanted to do for her future career. She had the desire to get there fast, so she enrolled in the Cosmetology program at Bucks County Tech school. Jess spent 4 years in that program and graduated in May 2018. 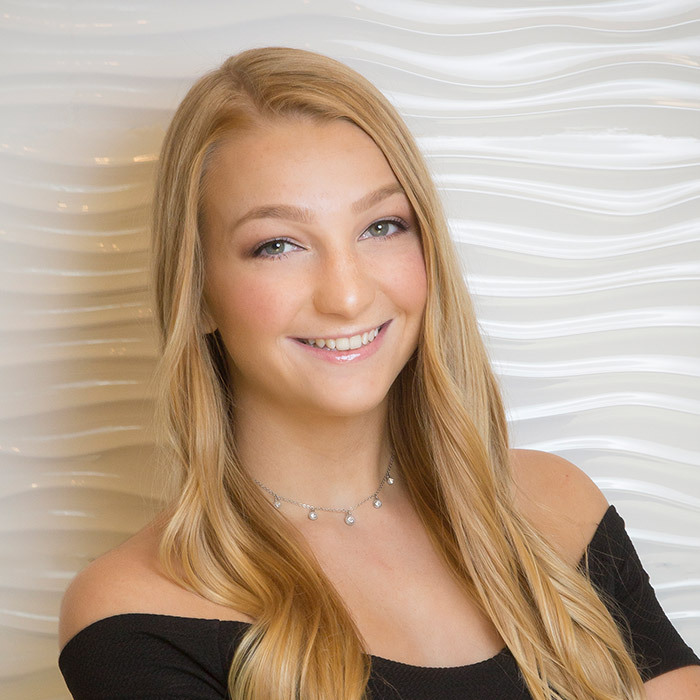 During the time in school Jess worked part time for Blush and was able to begin training with the Blush Staff to master Formal Design Updo’s and Blowdry-Styling. She is currently booking these services at Blush and continues to train with Steve Davis on haircutting and coloring. You will also find Jess servicing clients at the eyebrow counter. She had a strong interest and natural ability in this area. She trained alongside Jay Davis and learned the art of Eyebrow Shaping. Some of Jess’s other interests are animals, art and fashion. Outside the salon she enjoys traveling and exploring new things.